SpaceX’s Falcon 9 rocket lifted off from Kennedy Space Center’s Launch Complex 39A at 16:31:37 UTC on August 14, 2017 with the twelfth operational Dragon spacecraft headed to the International Space Station for a critical science-enabling cargo delivery. Debuting the Block 4 upgrades on both Falcon 9 stages, the vehicle successfully delivered the 10,600-Kilogram spacecraft to orbit via a two and a half-minute burn of the first stage and six and a half-minute second stage burn. 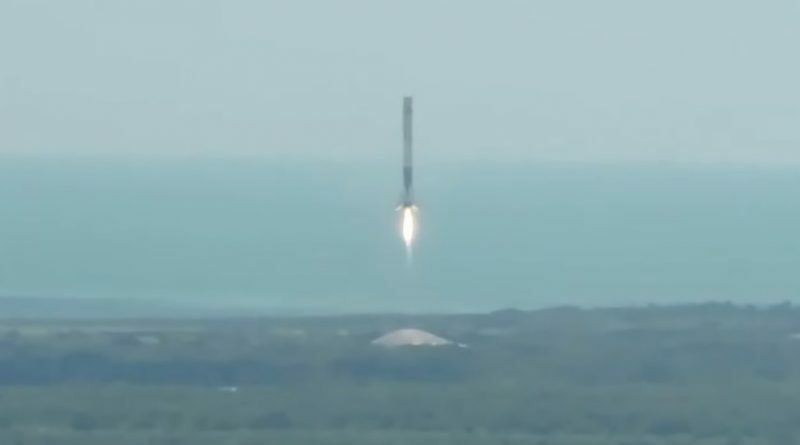 Stage 1 made a rocket-powered U-turn after sending the upper stage on its way, successfully touching down at Cape Canaveral’s Landing Zone 1 for SpaceX’s sixth land-based rocket landing.